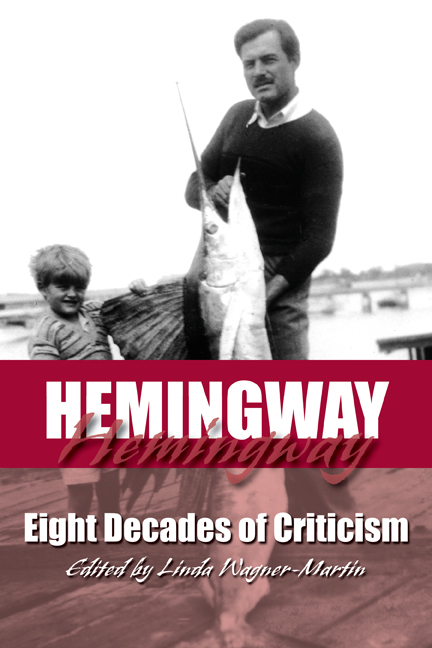 Hemingway: Eight Decades of Criticism is part of a collection of essays edited by Linda Wagner-Martin, in this series that has become an essential guide to the best contemporary criticism regarding the work (and life) of Ernest Hemingway. Several of the essays discuss Hemingway's life, including the first, which focuses on his own wounding in World War I. Other contributors examine "wounding" of many kinds—guilt, disability, loss, and mourning—in his works. Another section collects essays that pursue arguments centered on issues of gender. Most are written by scholars whose work has not appeared in previous collections. Throughout this collection, studies of familiar texts appear in tandem with fresh research, including essays that have become "instant" classics during the last decade and essays that focus new attention on The Old Man and the Sea. Anyone who is seriously interested in Hemingway's work will find this collection to be essential reading.